To honor the victims and families of the Pulse nightclub tragedy. Acts of Love and Kindness is a movement by the One Orlando Alliance to encourage our community, and those around the world who feel close to us, to honor all those who have been affected by the Pulse tragedy. Keep The Pulse, spread the word and connect on social. 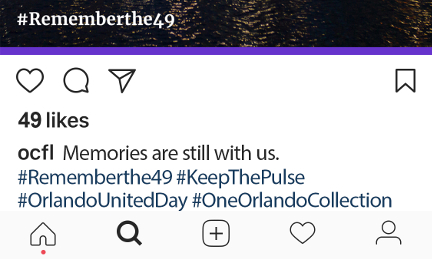 Share the movement online through Instagram and Facebook using our Keep The Pulse social share image and hashtag generator.